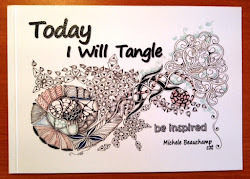 I like to think my zentangles are a diary with pictures, not with words. 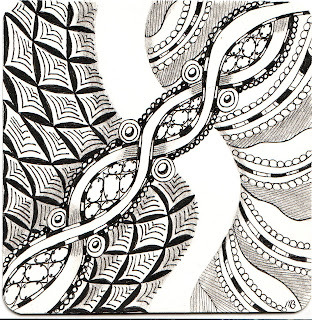 I can look at a certain zentangle and now where I was and what time of the year it was created. I strongly see the gap of which you speak. 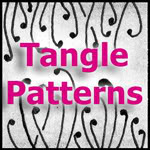 The weave that crosses it makes me think of eyes--compound eyes that see many things all at once. To me, the message is that we must interpret all we see, event the things we don't know we see, in order to avoid chasms and pitfalls. We won't succeed. No one can entirely, but it's what we learn in the chasms and from the pitfalls that make us who we are. Like a bridge over a river. Very nice. Love the double helix. What a beautiful way to hold our memories. I think there is a lot of truth to that concept. Drawings, music and even fragrances can bring pleasant ways of remembering special times. Drawings can say what words are inadequate to say. Sandra, I am loving what you see, I suppose we can only try! Thanks Joni, yes music is a very powerful way to bring forth memories. It reminds me of the cerebral hemispheres: The left one which is analyzing and sorting, thinking in boxes. Whereas the right one is playing around with creativity, associating ideas – to keep it simple ;-). 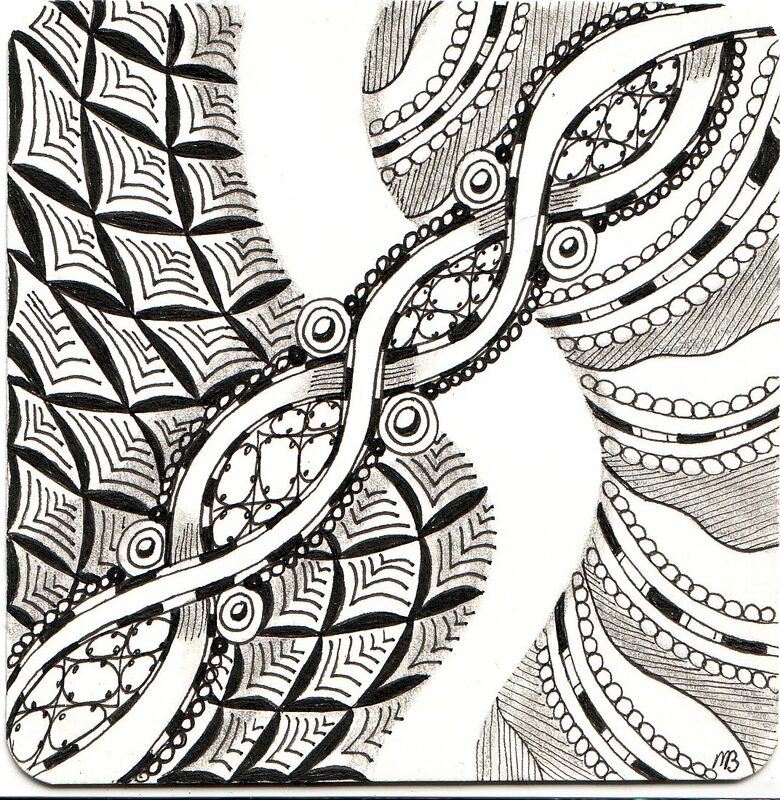 Both forming a whole, connected / linked by the corpus callosum, represented by the bridge… The bridge is the key to wholeness. This reminds me of the swinging bridge that crosses a valley here where I live. I have never been brave enough to cross it....with my car. However, I would love to find the courage one day!